Rule 40: Home teams are responsible for supplying a trebles board of match standard, adequately lit. Rule 41: Height to be 5ft 8in to centre bull. Throwing distance from fixed oche 7ft 9.25in. Rule 42: All games 501 best of 3, straight start, double finish, centre bull counts for game. The bust rule applies to finishing. Rule 43: If BOTH teams only have 5 or 6 players for Darts, those names shall go in the match draw. Remaining games will not be played, and no points awarded. Rule 44: Away team to throw first on games 1/3/5/7. NO DARTS. Rule 45: Maximum of 5 minutes to elapse between games. 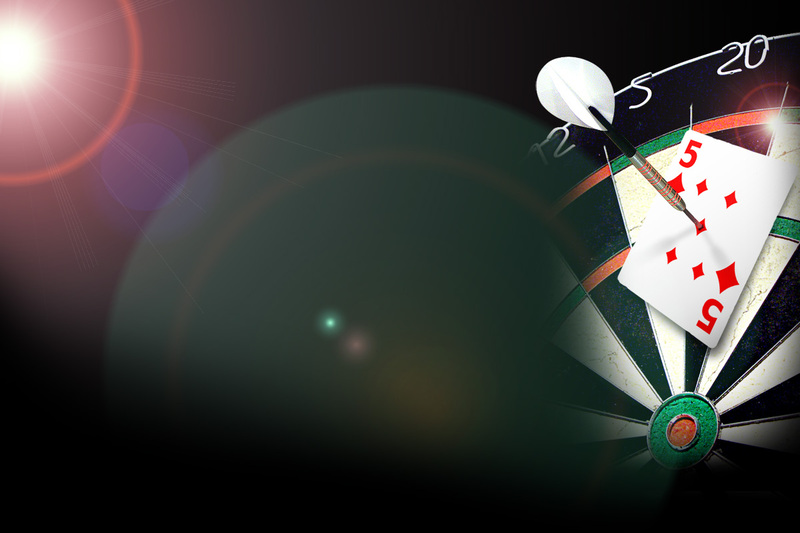 Rule 46: Only darts remaining in the board, which are self-supporting, after a player's throw are to count. Rule 47: Caller from home team, checker from away team are in control of the game. Rule 48: Once the score has been called, checked as being correct, and any dart removed from board, the score will stand. Rule 49: The scorers of the books must agree before the next dart is thrown or else rule 47 applies. Rule 50: Players may be in call from 250. Rule 51: Captain or nominated person (one person only) can assist player verbally during the game (e.g. for kills, etc). Rule 52: Points will be awarded as 1 point for each game won. No extra point for match win. Rule 53: If a team is not at the venue by 9.00pm 1 point will be lost at darts for each 10 minutes late.